Probably one of the best online casinos you will find is Party Casino, it is also one of the better Party Gaming products, and I prefer it to their online bingo site. However this massive online gambling group which is listed on the London Stock Exchange also provides sports and other betting, poker, financial trading and as I said earlier – online bingo. They have been in operation since the early days of online gambling – since 1997 in fact and moved operations from the US facing industry to UK and European facing customers due to the promulgation of UIGEA in the United States. They have a solid reputation and the promotions at the Casino are good. 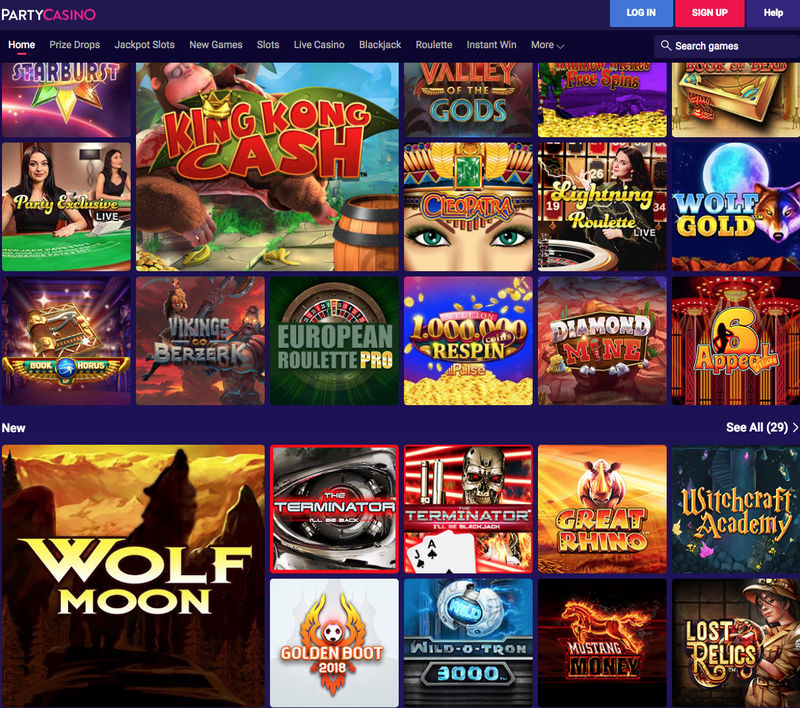 This site operates off proprietary Party Gaming software and is licensed and regulated under the Gibraltar Gambling Commission as well as the Alderney Gaming Commission. Great games cannot be faulted and this is what you get at Party Casino, they offer slots, jackpot slots, blackjack, roulette, video poker, craps and other casino table games, backgammon as a separate entity, Marvel slots, arcade type slots games and casino table games with live dealers. Integrity for financial transactions is maintained by means of 128-Bit SSL encryption, Thawte Certification and iTech Labs testing is conducted on games for fairness; there is zero tolerance for fraud or collusion. Customer service is as it should be – 24/7 and contactable by a variety of means. This includes telephone, fax, email and live chat. Plenty of different payment methods are featured at Party Casino and these include but are not limited to, Visa, Mastercard, Bank Wire Transfer, Bank Transfer, Instant Banking, ClickandBuy, PayPal, Visa Electron, Switch, Maestro, Solo, Neteller, Moneybookers and Ukash.